For a dog named Sadie, her owner was the center of her world. At 13 years of age, her owner was her everything and sadly the man died suddenly from a heart attack recently. Sadie was actually by his side when it happened, even when paramedics arrived. When they were unable to revive the man, she laid next to him and placed her head under his hand. Since that day, Sadie and her family have both been devastated by their loved one’s passing. In the ten days between his passing and the funeral, Sadie was not doing well. Sadie the dog was refusing to eat, refused to sleep alone, and spent most of her time waiting by the door or window for her beloved owner to return. That’s when Sadie’s family worked with the funeral home to make sure Sadie was able to say goodbye. Sadie was welcomed into the chapel and allowed to mourn alongside her family. It was an emotional scene, as Sadie approached the casket along with her owner’s wife. 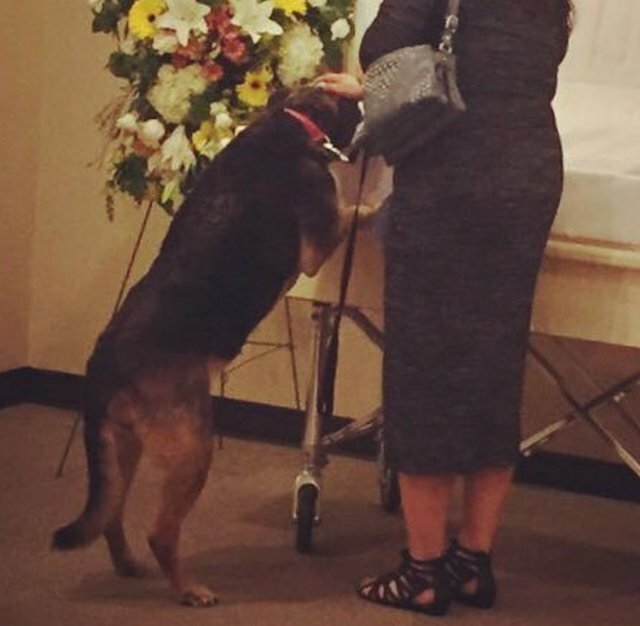 The sweet dog put her front paws on the casket and was able to say goodbye, which seems was just what she needed. Her family says that after they returned home from the funeral, Sadie ate two full meals. 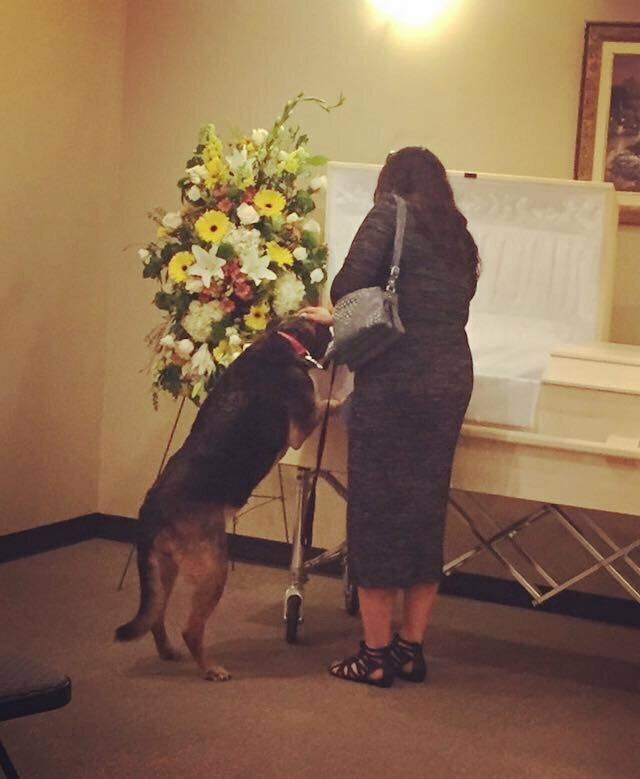 It seemed that she had her spirits raised from seeing her owner one last time. While some funeral homes might not allow a dog inside their facility, Sadie was welcome with open arms and it made all the difference for her. It seems that was also a healing moment for her family, who knew how important the dog was to their family member. Dogs, just like humans, feel emotions and losing someone they love is difficult and even traumatic for them. Sadie and her family are certainly comforted by this beautiful final goodbye.